Thank You: We had an excellent conference and we want to thank our vendors and guests. Our next conference will be April 11-13, 2019 at the Davis County Conference Center in Layton, Utah. More details to come. Speakers for the 22nd International Book of Mormon Evidence Conference Speaker Bios are listed below. Each speaker listed will eventually have a presentation title in Orange by each of their names. If there is no title yet, check back often as we will post them when they are received. Thanks. To see a list of all speakers from our last April 2018 conference Click here. David W. Allan has spent 57 years researching time and related topics. He helped develop the nation’s official atomic-clock timing system during his 32 years in Boulder, CO, at the National Bureau of Standards (now National Institute of Standards and Technology). For 25 of those years, his research group was responsible for generating official time for the United States and helping with official time for the world. During that time he spent several man years helping in the development of GPS. 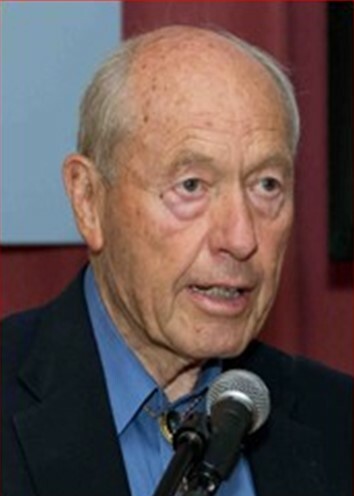 His 1965 master’s thesis became the international standard for how to characterize and use atomic clocks, and his work is as well known in the time and frequency, navigation, telecommunication communities as any other when it comes to how to best use precise timing devices. In 2016, he was given the highest award given by the Institute of Electronics and Electrical Engineers with the citation: “For seminal work… regarding time determination, time prediction, time dissemination and timekeeping through contributions to atomic frequency standards, space-based navigation, time and frequency stability analysis, time-scale algorithms, and timekeeping devices.” The IEEE publishes more scientific papers than any other organization. His algorithm is still being used to generate time for the United States. As a faithful Latter-day Saint, he has served as a bishop, stake president, and in the Denver Mission Presidency, and his recent book, www.ItsAboutTimeBook.com , gives a grand harmony between science and religion. LDS Living has carried an excerpt from it, http://www.ldsliving.com/The-Powerful-Book-of-Mormon-Phrase-We-Always-See-but-Never-Think-About/s/81070 , and his Amazon reviews are excellent. He is pleased that the book’s web site is receiving international interest, as it is his gospel outreach. Tiffany and Giada will perform all during our Conference on Friday and Saturday. They will also sing during breaks and during lunch and dinner. Although born and raised in Las Vegas, Tiffany Barney swears she has never put a coin into a “working” slot machine and only learned the card games on her Intellivision growing up (if you know this game system, then you can definitely guess her age). She has been a practicing attorney in Las Vegas for over twelve years and welcomes lawyer jokes (since most are true). While teaching seminary, she was introduced to the wealth of knowledge that the FIRM Foundation brings and she gladly shares it with others. In her spare time, Tiffany enjoys playing the piano, writing music, arranging music and accompanying her beautiful and talented daughter, Giada Barney, while she sings or plays instruments. The two of them wreak havoc in Las Vegas (good havoc, if there’s such a thing) and are grateful for the opportunity to do the same at the FIRM Foundation conference! Giada Barney is in her first year of college at the University of Nevada – Las Vegas and loves being a college girl! For all those wondering – yes, she did get accepted to BYU Provo but the Lord called her elsewhere (plus a full ride scholarship is hard to pass up). She was valedictorian of her high school and sang the Star Spangled Banner at her high school graduation in the Thomas & Mack Center, where she now enjoys UNLV’s sporting events. 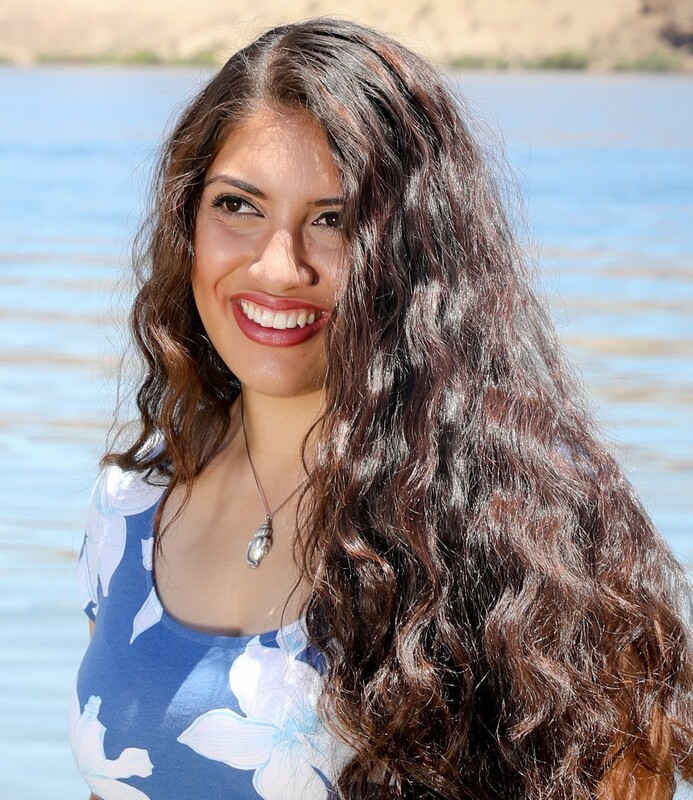 Giada loves to sing and is currently studying opera performance and music education at UNLV. In the past, she has performed with the Sin City Opera community group. She also is an accomplished violinist having been the concert master of Zion’s Youth Symphony and Chorus during her senior year of high school, which gave her the opportunity to perform in the prestigious Smith Center. Her claim to fame is that she played the violin for President Russell M. Nelson on February 17, 2018, during a YSA event in Las Vegas, and was able to shake his and his wife’s hand. She now considers her hand a celebrity (many people shake it just to share the prophet’s DNA). She is excited to be able to share her talents at the FIRM Foundation conference! 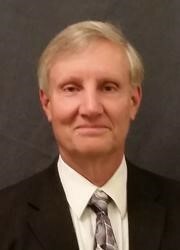 David Doane holds a Master’s Degree in Middle Eastern Studies and a Master’s Degree in Agricultural Economics from Brigham Young University. He has traveled extensively in North America, Europe, the Middle East and India during his 35 years in the information technology (IT) industry. His lifelong passion for the history, cultures and religions of the Middle East springs from his Jewish heritage and subsequent conversion to the gospel of Jesus Christ when he was 22 years old. His unique abilities to understand the meanings of scriptures spring from his Jewish heritage, extensive Book of Mormon research, educational experiences, and world travels. Have you ever wondered who the Remnant are? What do the scriptures and Joseph Smith say, and what do the native Americans say about themselves? And, what is the role of the Remnant in the future? Learn about how the Lord will personally gather His covenant people, the Remnant, fulfilling the Abrahamic covenant in part, as promised nearly 4000 years ago, and foretold in a number of native American histories. Kels has been in the film business for 25 years, best known for the creation of “Will it Blend”, one of the most successful viral ad campaigns of all time, garnering over a half a billion views on YouTube. He has also produced a number of feature films such as “Handcart”, “The Latter-Days of Elvis Presley”, “Wayward” and “The Last Eagle Scout”. His current project “Hidden in the Heartland” is a new series that follows the research providing evidence of the Book of Mormon locations in North America. Look of his new film titled “Season 2 of Hidden in the Heartland” to be released in 2017. Lori Bean Henderson is the granddaughter of Willard & Rebecca Bean, the first missionaries called to Palmyra in 1915. She enjoys telling the extraordinary stories of their 24-year mission living in the Joseph Smith home, and Willard’s research of Book of Mormon lands in upstate New York. To keep this significant piece of Church history alive, and to celebrate the 100-year anniversary of their mission call in 2015, Lori wrote and produced the DVD documentary “Love Unfeigned”. Following in the footsteps of her grandfather Willard, who studied Naturopathy in the late 1800s and lived an exemplary life of physical fitness, Lori advocates a holistic and sensible approach to health and happiness. 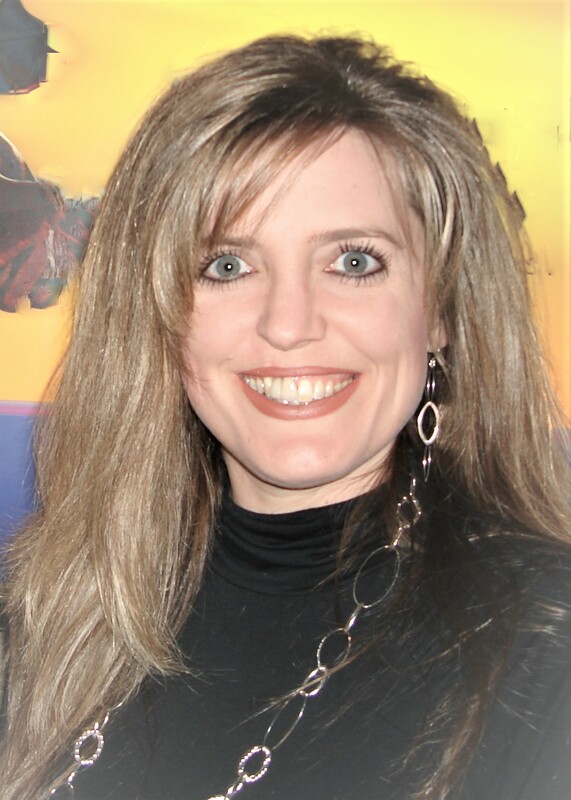 She is a certified energy healing practitioner and nutrition specialist. (Learn more at www.TurningHeartsTogether.com) She enjoys Yoga and Tai Chi, being in nature, gardening, earthing, traveling, tea parties and entertaining, and especially spending time with her children and grandchildren. Kaye Starr Heninger Book of Mormon Musician, Professional Singer, and Songwriter. Kaye Starr Heninger is a composer, pianist and choir director, with a focus to create musical nuance from the Book of Mormon that will penetrate the heart of the listener. She earned her Bachelor degree in Music at BYU, and since 1991 has used her talents by traveling with her choir all over the world. As a busy Mom, she has had to use the quiet hours of the night to gain inspiration for countless melodies, harmonies and rhythms as she sought to depict sacred passages from the Book of Mormon. She has stirred many musicians to help her present those sounds, and finds it an amazing phenomenon to see the proudest and toughest of individuals cry when they hear her music! For three years in a row (2006-2008) Kaye Starr’s music, text and narrative scripts won the coveted Deseret Dramatic Recognition Awards from The Church of Jesus Christ of Latter-day Saints. Each script and narrative program contains 12-15 original pieces of music, and the titles of her award-winning programs are as follows: •A Great and Marvelous Work •Voices from the Dust •Our Land, Our Liberty •The Power and the Promise Joseph Smith, Prophet of God •Songs of the Prophets Kaye Starr founded and directs “The Kaye Starr Singers,” works with the missionary program and Church leaders, and has presented in all the western United States, plus Alaska (2004-2005-2006), Hawaii (2007) and Ohio (2014). They have sung in Israel (2000) and when they toured in Guatemala (2013), hundreds of new investigators received lessons from the missionaries—and many joined the Church—as a direct result of Kaye Starr’s music. For several years in the 1990s—and in 2011—hundreds were introduced to the Church in Queensland, Australia, when the Kaye Starr Singers toured that country. Just recently (March 2016) her choir toured New Zealand with a dozen presentations of powerful and penetrating Book of Mormon music. Lives were changed and brand-new hearts were created as listeners pondered the messages of the music. She lives with her husband, Brent E. Heninger, in Layton, Utah, and they are the parents of 12 children. David R. Hocking President, BeaconLight Books, LLC. David and his wife Teresa are parents to 3 children and “Grammy and Grampy” to 9 grandchildren. Born in Hyannis, Massachusetts, he has a rich New England heritage. As a young Deacon, he helped clear the Joseph Smith Memorial in Sharon, VT for camp grounds. 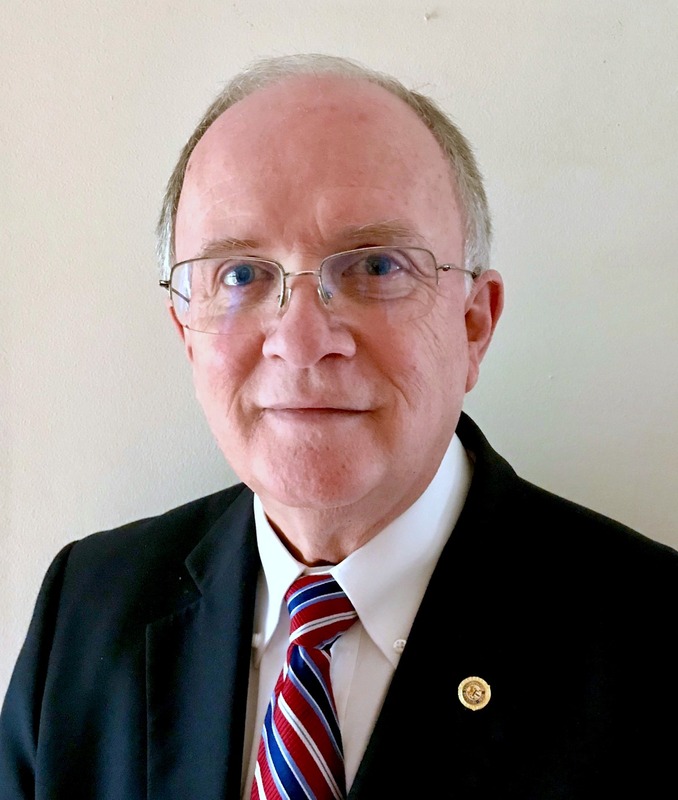 Now living in Raleigh, NC, he enjoys being close to the “land of Lehi.” He loves gardening and is an accomplished guitarist, a talent he was able to use in the England South Mission in 1971-1973 as a member of the Family Portrait Singers, at BYU in the Young Ambassadors (1969-1970) and in several dance bands. David received an A.S. degree in Electronics Engineering in 1971 and a B.S. in Microbiology in 1975 from BYU. He has worked for 43 years in Sales and Marketing in the Biotechnology industry. He has authored a book on hemoglobin disorders as part of the newborn screening programs utilized in State Health Laboratories. He has invented a 5-minute test to detect the various forms of Sickle Cell Disease in newborns, children and adults. The test requires no equipment and is being used in over 30 low-resource countries to help save lives. 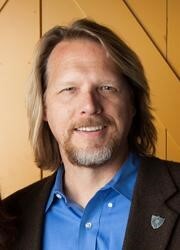 David is the President of BeaconLight Books, LLC, which he formed to illuminate sacred texts. For the past 18 years, David has been reformatting scripture to help readers better understand them with increased comprehension. He has found that word processing tools provides a means to highlight the scared nature of revealed scripture. He has reformatted most of the Old and New Testaments and the Book of Jasher, a Hebrew book that parallels the Old Testament up to the book of Judges. 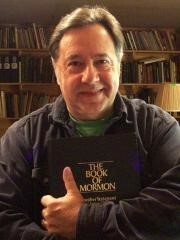 He is the Managing Editor of The Annotated Book of Mormon which has been created to help readers understand the everlasting gospel as explained in the text, together with what the modern prophets and apostles have taught about it. The public domain text has been formatted so readers can identify natural conversations, poetic speech patterns, prophecies, and the words of God. These elements bear witness to the divinity of this ancient text by drawing upon Hebrew tradition—much different from the nineteenth century rural America known to Joseph Smith. The use of red colored text provides a visual to help the reader see whether the passage is spoken by Deity (Jesus Christ, Heavenly Father and the Holy Spirit), or colored blue to show that the passage is either spoken by an angel or is quoted scripture. The annotations include prophetic commentaries on quoted scripture and statements by other religious leaders that amplify specific teachings within the text. Throughout the book are paintings, photos and maps supporting the statements by Church leaders that the Book of Mormon is a narrative of real people living in the Promised Land, a land that is choice above other lands. Betty “Red Ant” LaFontaine is a full blooded Diné (Navajo) born of the Red Clay Bottom Clan, for the Salt Clan. Raised on the Navajo Reservation, she lived most of her youth in New Mexico in the traditional ways of the Diné. Betty is the middle child of eleven children, most of whom continue to live on the Reservation. Her father is Charlie (Man in the White Meadow) White, and her mother is Helen Yazzie White. Her ties to her family and homeland remain strong. Her family was taught by missionaries of the Church of Jesus Christ of Latter-day Saints, and in about 1967 her mother was baptized by LeGrande Richards. Her mother later took out her endowments in the Mesa Arizona Temple. Helen served as a Relief Society President in her hometown of Crownpoint, New Mexico, and has always been very sensitive to the Spirit, despite her lack of a formal education. Betty did the Temple work for her father Charlie, after he passed away. At age five, Betty began her formal education. While attending school she was taught English as a second language. She was not permitted to speak her native tongue during the school day. Betty’s mother Helen chose to have Betty attend the LDS Indian Student Placement Program, giving her access to a better education and an introduction to the modern world. During her seven years in the program, Betty met her husband of 38 years, Mike LaFontaine originally from Florida, and is of Chippewa heritage. Mike’s parents are Melvin J. and Dellene M. Peterson LaFontaine. Mike and Betty were sealed in the Salt Lake Temple in 1982 and they currently live in Orange Park, Florida where they have been for 25 years, spending time with their beautiful 5 children and 18 grandchildren. 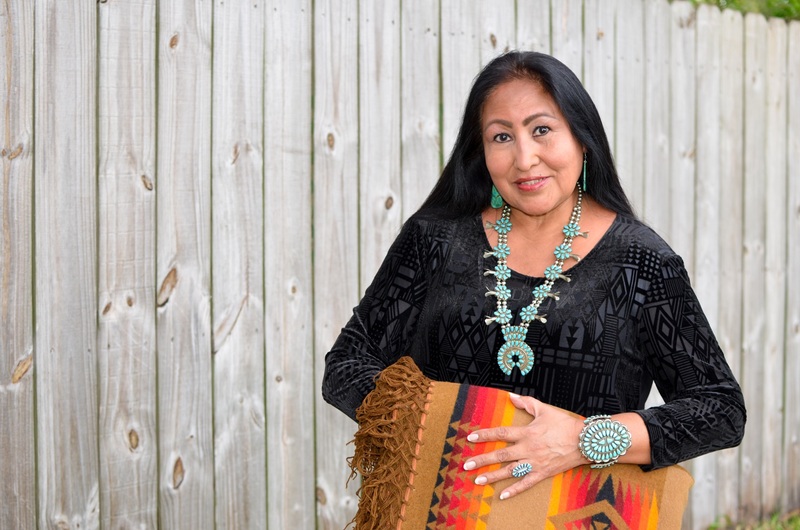 As a modern urban Indian, Betty’s passion is to educate others about the realities of reservation life, and the history and culture of her people. Betty loves helping others become outstanding members of their communities, and especially loves strengthening her brothers and sisters in the LDS Church. As an Indian educator, Betty makes presentations about her native culture, life-ways, heritage to school assemblies, clubs, groups, organizations, and business employees. Betty has served in Relief Society, Young Women, and as a teacher in Sunday School, and Primary. She is from the tribe of Manasseh. Her testimony of the veracity of the Book of Mormon has engendered in her an interest in recent archaeological and DNA evidences and the ties she has to her heritage and native culture. Her Native American brothers and sisters are a chosen yet scattered people and her passion is to bring them home to the Savior where they may lead in building the New Jerusalem. Video only. Wayne is unable to be with us in person. Wayne N. May was born and raised in Wisconsin. 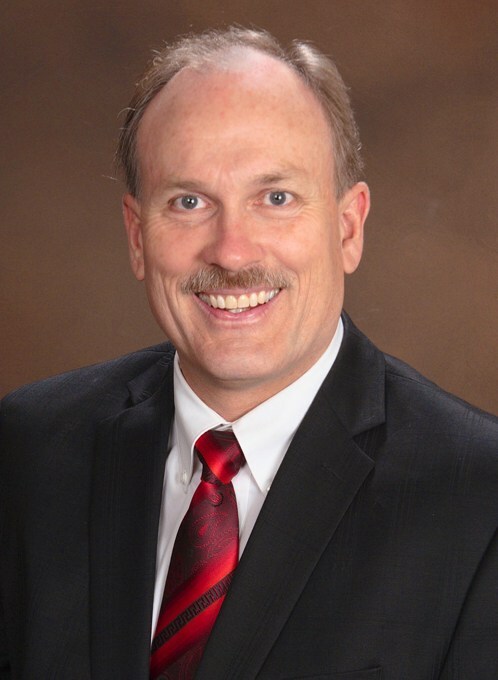 He is a 46 year convert to the LDS Church and has served in four Branch Presidencies, three Elder Quorum Presidencies, Seminary Instructor, Gospel Doctrine Instructor, Veil worker at the St. Paul Minnesota Temple, and currently is serving as Gospel Doctrine Teacher of the Menomonie Wisconsin Branch, Oakdale, Minnesota Stake. His wife Kristine is active with Wayne in the archaeological discoveries of the Midwest. Together they publish the quarterly magazine Ancient American which has been in continuous print for 26 years and covers the pre-Columbian Americas. Wayne and Kristine are the parents of seven children, and grandparents to sixteen. 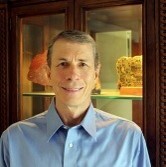 Wayne is author of five books on the subject of Book of Mormon Archaeology in North America. They are titled; This Land: Zarahemla and the Nephite Nation; This Land: Only One Cumorah; This Land: They Came from the EAST; book four is This Land: America 2,000 B.C. to 500 A.D and book five is This Land: Willard’s Cumorah Land. Wayne gives firesides to members and non-members alike, wherever he is invited to present. 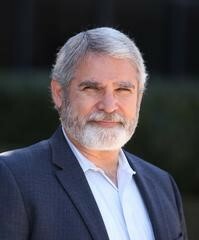 He has been presenting information on the topic of North America’s archaeological data from New York to California since 1994 which demonstrates how it applies to the Book of Mormon timeline. 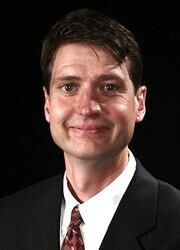 Rodney L. Meldrum is a researcher, author, and national lecturer on the truthfulness of the Book of Mormon, with an emphasis on the scriptural and physical evidences recently discovered indicating North America as the most likely location where its epic history played out. He served for seven years as senior scientific researcher on a natural sciences book, was President and CEO of High Country Gourmet, Inc., Orem, Utah, and more recently was Director of Business Development for Interact Medical, a leading LMS (Learning Management System) developer for surgeons and patients in the medical device industry. He and his wife, Tonya, are the parents of four children. He is a fifth-generation member of the Church of Jesus Christ of Latter-day Saints, served a mission in Milan, Italy, and has served faithfully in many church leadership callings, most recently Young Men’s President, High Priest Group Instructor, and currently Sunday School President of his Provo, Utah, Ward. 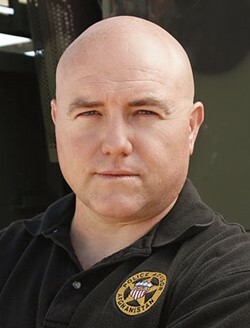 Richard D. Moats is a twenty-four-year veteran of the United States Air Force. In his career he received the Joint Service Commendation Medal, Two Meritorious Service Medals, and the Defense Meritorious Medal. His skill sets include aircraft accident, criminal, and forensic investigations, remote sensing imagery analysis, and instructor. With these skills, as applied to Native American Archaeology, Rich has investigated many Native American sites in Ohio. He has discovered a site unknown to Archaeology and another site which added significant understanding into the Archaeoastronomy and Religion of a people living 2000 years ago. He has authored many archaeology papers and articles published in the Ohio Archaeologist and Ancient American magazines. He is a member of the Midwestern Epigraphic Society, and the Archaeology Society of Ohio where he was the 2015 Converse Award winner for outstanding contributions to Ohio Archaeology. Rev. Richard D. Moats is an Ordained Evangelist in the Church of Jesus Christ International. Rian has always loved the Book of Mormon and its heroes, and after 40 years of searching for the location where Nephi and Moroni lived, served, and fought for their freedom has finally been realized. They lived right where the Prophet Joseph Smith said they did, in the United Stated of America. Rian loves the Lamanites. He served a mission to Fiji and Kiribati, his parents met each other while each serving the Navajos, Apaches, and Hopis in New Mexico and Arizona, and his son served his mission among the Lamanites of Alaska. Finding new heroes, Zelph and Onandagus has inspired him. New found secondary evidences (Archaeology and Geology) has added to his previous testimony and inspired him to create art, maps, and hand made relics, to inspire others. His passion for truth has been ignited by the description of a “mound” from Rod, the location of the “narrow neck of land” from Jonathan, the amazing “finds” from Wayne, the inspiration of the Stoddard family, and the testimony from the “Prophets Sword” through Jolene and Howard Smith. Rian thanks his friends Val Chadwick Bagley, Ken Corbett, and Kendra Burton for creating art, and cartoons of Rian’s favorite heroes, and a special thanks to Steve Blake who taught Rian a new talent, creating “cool relics.” He has a new book titled “Moroni’s America-Map Edition, edited by Jonathan Neville. Rian is married to his eternal companion Stacy, has two children, Kinley and Caden, and a brand new grandchild named Brooklyn. He currently serves as Primary Teacher in Bountiful, Utah. Brother Neville approaches these issues like the criminal prosecutor he once was. He pursues the evidence wherever it leads and doesn’t simply “assume” anything or take anyone’s word at face value. When it comes to Church history, he follows the adage: “trust, but verify.” That process of verifying has led to some important new discoveries that he finds to be faith-affirming and corroborate what Joseph Smith said and what the Book of Mormon teaches. For the last twenty-five years, Jonathan has lived in Utah, but he has lived in Europe for 8 years, in the Philippines, in California, Arizona, New Mexico, Nevada, Washington, Tennessee, and Illinois. He has visited over 60 countries on every continent—including a Chilean base in Antarctica. He travels frequently with his wife Beverly, a PhD and Division Director for the Salt Lake County Health Department who is also a college professor and author, a popular speaker at BYU Education Week, and the author of an article in the Ensign in 2015. They have eight children, seven grandchildren, and no pets. Brother Neville’s book, Whatever Happened to the Golden Plates?, explains how Joseph Smith actually translated two separate sets of plates—only one of which came from Moroni’s box in the Hill Cumorah. This new understanding of Church history helps explain details that have puzzled historians for decades. Brother Neville has spoken at firesides and conferences throughout the United States and in Europe. He currently lives in Mauritius, Africa where his wife Beverly is teaching English and Jonathan is teaching French. “Lenet Read has published over twenty articles and has shown 3 professionally made videos, all showing how the Lord prophesied from the beginning the things you see happening in our times. She has spoken about the Golden Plates coming on a major Jewish Holy Day and how she was led to that discovery, and how the Book of Mormon coming on that day fulfilled many ancient prophecies. She has also shown that the Bible prophesied repeatedly that the Book of Mormon would come out of Israelite bones left at Hill Cumorah. She has shared how God’s image of Himself as Bridegroom gives the Bible an amazing unity and shape. Her previous research has had significant impact on both Biblical and Book of Mormon studies. She has been a primary mover in making saints more aware of the Bible’s symbolic and prophetic messages through many articles and books which have influenced BYU professors and CES teachers. 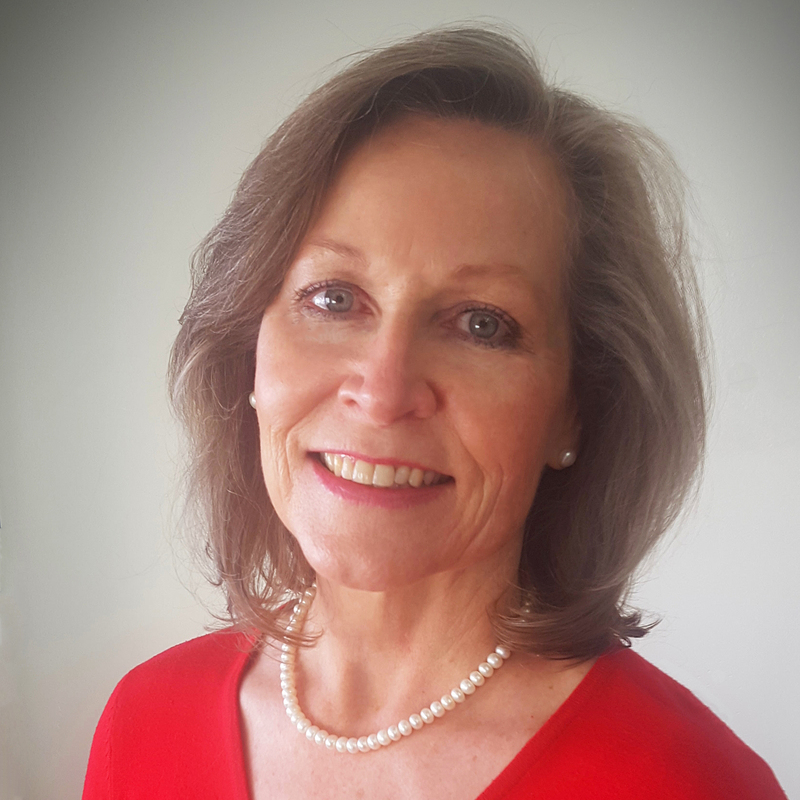 She is the author of the popular and impactful eight- part Ensign series, “How the Bible Came to Be.” She is currently a temple ordinance worker, but has served both as Stake and Ward Relief Society Presidents, Institute instructor, and many years as Gospel Doctrine teacher in several areas of the country. She is currently sharing new inspirational background to the Old Testament through posts featured on www.ldsgospeldoctrine.net. The three new videos she has shared are on YouTube and on her new website www.thefinaldaysofawe. Watch a preview of these videos to help you feel total trust in the scriptures and to help yourself and your family know that the Lord has foretold all things. And that in the end, those who obey Him will have enormous blessings. Lenet Hadley Read has published over twenty articles in the Ensign, Meridian Magazine, Journal of Book of Mormon Studies and Encyclopedia of Mormonism. She has published four books (one by Deseret Book), and has lectured at Education Week, CES Symposiums, and many conferences. Her Gospel Doctrine Blog, which includes Book of Mormon Geography, is posted on www.ldsgospeldoctrine.net. Graduating from BYU with a B.A., she did post-graduate studies in religion at the University of Florida. Her major research has been on how Jewish Holy Days prophesied all of Christ’s major works, including the beginning of the Days of Awe at Hill Cumorah. They also hold significant prophecy for the future. Lenet’s new presentation for this conference will show newly recognized evidences that the Nephites did keep the Law of Moses, but abandoned it, as Jesus commanded. Even from the Heavens He commanded “ye shall offer no more the shedding of blood” (3 Ne 9:19). And evidence, which baffles scientists, shows that indeed they buried their old sacrificial altars, used for centuries, and offered instead broken and contrite hearts. 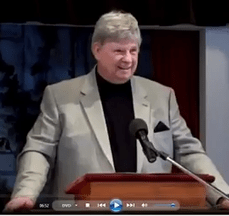 Lynn Ridenhour is a Southern Baptist minister who for these past thirty-plus years has been preaching out of the Bible and the Book of Mormon. 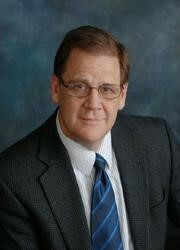 Dr. Ridenhour has a Master’s degree in writing from the University of Iowa, with a PhD in literature. He is the founder of “Building Bridges Ministries,” an organization dedicated to bringing together restoration and reformation Christians. “It’s my firm belief Bible-believing Christians and Book of Mormon Christians have far more in common than all our differences. Are there differences? Of course. But it’s time we began celebrating our commonalities rather than continuing to magnify our differences,” says Brother Lynn. Dean W. Sessions is the author of the Universal Model (UM) and founder of the Millennial Science Foundation. Sessions has a B.S. Degree in Science from Brigham Young University and in 1990, Sessions began studying in both archeology and geology where a number of important new discoveries in these fields were made over the next few years. From this initial research and experimentation, a number of inaccuracies in theoretical aspects of modern science was found leading to the realization that a complete revolution in science needed to take place. As the director of scientific research and discovery for the Universal Model, A New Millennial Science, Sessions continued investigations in the 1990s with the aid of several research assistants. Thousands of peer reviewed scientific journal articles were gathered from all the general fields of science, as well as in-depth experimentation was conducted both in the field and in the laboratory. By 2000, the official writing and documenting of the Universal Model began. On 15 October 2016, Volume I of the UM was released to UniversalModel.com to the public. Volume I, II and III will contain a total of 32 chapters with a total of about 2,000 pages when completed. Mr. Sessions has spoken to thousands of individuals sharing the hundreds of new scientific discoveries found in the UM and explaining why we are such an important part of the wonderful Creation that surrounds us. Steven Edgar Smoot is President of the Family First Foundation and President of Excel Investment Corporation and Watchman Properties. He is Author of the book, Lost American Antiquities a Hidden History and co-producer of many documentaries, the two most known documentaries are The Lost Civilizations of North America and Demographic Winter the Decline of the Human Family. He has been an invited speaker on the Decline of the Human Family and Demographics at the European Union and at many World Congress of Families events worldwide. Steven has also spoken at many ancient origin conference’s on the silence and science surrounding America’s ancient civilizations. Answering the why, how and who questions as to why we haven’t heard more about these ancient mound building cultures. Steven will also be sharing findings showing how migration patterns and the trading of precious metals, tobacco and Indian slaves can answer an age old question as to how religious teachings and practices became common to ancient cultures on many continents. Inter-twined through each of his documentaries is a common thread that shows that society cannot always rely on today’s scientific and academic communities for scholarly truths. One would think that by using scientific methods that scientists would be encouraged to follow the evidences wherever they may lead and in time come to a truthful conclusion. But since the mid 1800’s as these documentaries reveal, Social Engineers have learned that they can use the sciences and their influential political positions as a powerful tool to crush dissent on the origin and evolution of man and a myriad of other social and political issues. James F. Stoddard III is the husband of Leslie Sarah Stoddard and father of 9 children. He is a direct descendant of Asael and Mary Duty Smith, the Prophet Joseph Smith’s grandparents, and other LDS Church history figures. He is the founder of the Joseph Smith Foundation with its divisions Joseph Smith Academy, Joseph Smith Forum, and ZionVision. He and his family are the producers of several professional documentaries including: Joseph Smith: More than You Know, For Our Day: Divinely Sanctioned Governments, For Our Day: Covenant on the Land and Creation and Evolution: A Witness of Prophets. James has worked in private, public, religious, corporate and home education as well as Web development, software engineering, videography and natural health. He also serves on the Firm Foundation Executive Advisory and Strategic Planning Board and authors many papers and articles on the Web. His research supports the writings and teachings of ancient and latter-day prophets. L. Hannah Stoddard is the producer of the documentary video, For Our Day: Divinely Sanctioned Governments and the director of the videos Unlocking the Mystery of the Two Prophets: Revelation 11, For Our Day: Covenant on the Land and Statesmen & Symbols: Prelude to the Restoration. In 2015, she worked as producer in the release of the new doculecture series The Prophet Joseph: More Than We Know. Hannah directs Joseph Smith Foundation projects including Joseph Smith Forum, Joseph Smith Academy, Guardians of an Altar, Foundations and ZionVision. Hannah was home and privately educated. She has worked as a graphic design artist, software developer, videographer, project manager and research assistant. She currently serves on the advisory board for Kimber Academy – Lehi and has authored and edited hundreds of articles on the Web. 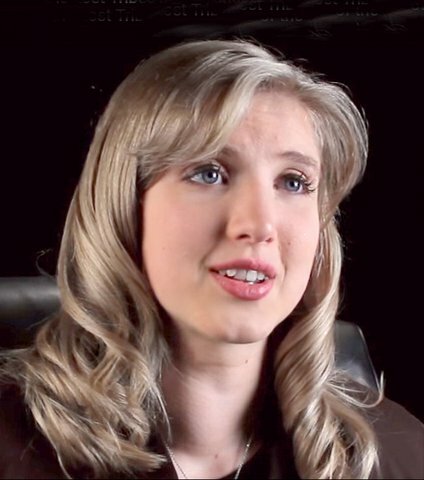 Hannah’s research supports the writings and teachings of ancient and latter-day prophets.